Desmond Discusses the Real Estate Industry, the SikkU GCard and why it will create interruptive change in the way consumers buy, sell and shop for homes plus much more. TUCSON, Ariz., June 2, 2015 /PRNewswire/ — Publicwire.com, the number one source for small cap market news, announced today, Ray Desmond President and CEO of GainClients, Inc. (Ticker: GCLT),which offers a cutting edge product called the SikkU GCard – a relationship building and sales enhancement service for the real estate industry, is featured on this week’s “Small Cap Spotlight” podcast heard worldwide on Publicwire.com. The “Small Cap Spotlight” podcast provides valuable insight into today’s financial markets and a unique prospective by featuring company CEOs, authors, newsmakers and many more. This week’s episode with GainClients, Inc.’s President and CEO Ray Desmond can be found here – http://bit.ly/1eDkR7P. The interview with host Dave Donlin focuses on the company’s SikkU GCard platform for the real estate industry, its benefits, how large its market is, GCLT revenues and more. The interview is part of a new podcast recently launched by Publicwire.com, a leading digital financial media company which boasts new digital technology reaching the investment community such as syndicated video and over 20 social media sites worldwide. GainClients, Inc. trades on the OTC Market under the symbol GCLT. Its product, the SikkU GCard, is a relationship building and sales enhancement service for the real estate industry. GainClients generates revenue through monthly subscriptions from organizational, enterprise accounts, individual real estate, mortgage, and title and escrow professionals, along with real estate related organizations such as banks, credit unions, real estate and lender brokerages, and title/escrow and insurance companies. The service is available via the web, text and mobile applications. Learn more at https://gcard.sikku.com/Benefits or watch the GCard video on YouTube: http://youtu.be/ksX_0y02n3g. 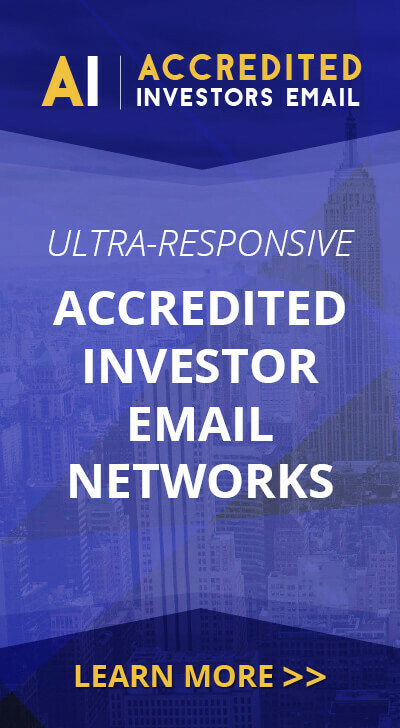 Since 2004, PublicWire (www.Publicwire.com) -The Number One Source for Small Cap Market News, has worked with a variety of companies, both public and private, across thespectrum generating results driven communications programs. Publicwire’s executive team has more than a half-century of combined experience in all aspects of public relations, investor relations and marketing communications. The Company specializes in Digital Investor Relations campaigns utilizing video along with over 15 social media sites, over 250 online media contacts and an ultra-responsive investor email network of over 10 million. This release may contain “forward-looking statements” that are within the safe harbor provisions of the Private Securities Litigation Reform Act of 1995. These forward-looking statements reflect the Company’s current expectations about its future plans and performance, including statements concerning the impact of marketing strategies, new product introductions and innovation, deliveries of product, sales, earnings and margins. These forward-looking statements rely on a number of assumptions and estimates which could be inaccurate and which are subject to risks and uncertainties. Actual results could vary materially from those anticipated or expressed in any forward-looking statement made by the Company. Please refer to the Company’s most recent Form 10-K and subsequent filings with the Securities and Exchange Commission for a further discussion of these risks and uncertainties. The Company disclaims any obligation or intent to update the forward-looking statements in order to reflect events or circumstances after the date of this release.